If you thought that it is only the big guns like Amitabh Bachchan, Aamir Khan, hero Ram or someone like that who do the blogging thing then this should change your mind. Here is one man who seems to be setting a new trend with his right utilization of the internet and creating a new update point. His name is L Venugopal and he is one among the noted PROs in the Tollywood circuit. Apparently, he has been blogging about the films that he has undertaken and has been providing a constant update from time to time regarding the status of the shootings and other important stills. Gone are the days when branding was a subject of just the private bodies, these days even government units have jumped into the competition and coming up with various schemes to attract customers and make their business. One such department is the postal department and they came up with a unique concept. Well, an individual can get his/her face on a postal stamp by paying a particular amount. And this concept has been rightly picked up by one of our own Tollywood PRO. His name is Venugopal and this has created a sensation in filmnagar. Apparently, Venugopal is known for his professional discipline and has nice goodwill in industry. 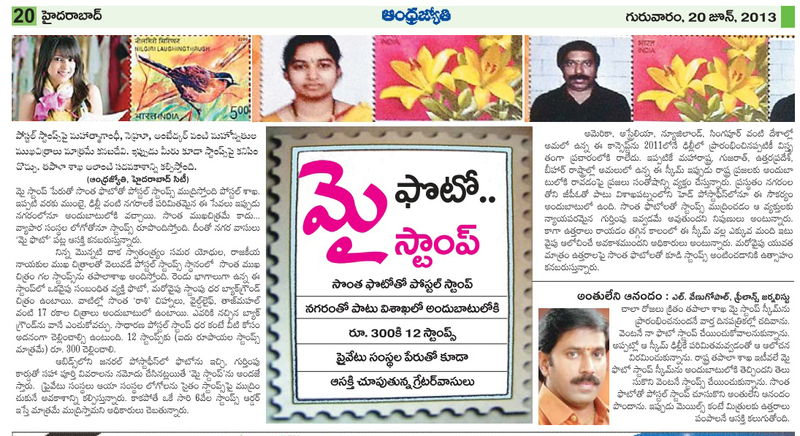 The postal stamp with his picture has created a buzz and it is another way of promoting oneself. With this, few other folks in filmnagar are lining up to approach the postal department and get themselves onto the stamps. Well, it looks like Venugopal seems to have started a new trend with this.